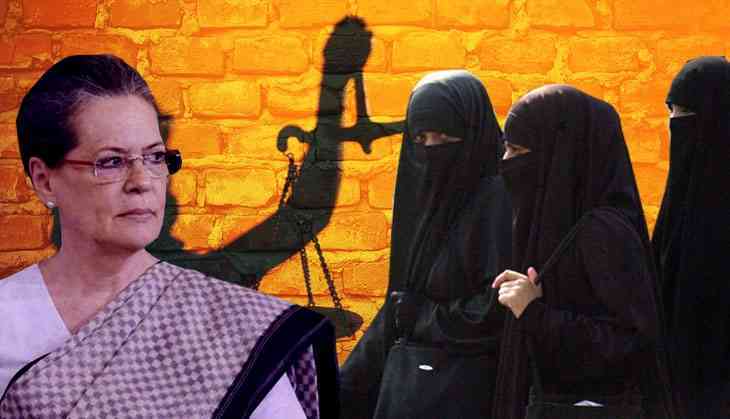 A day after the PM Narendra Modi Cabinet approved the provision of bail in triple talaq bill, UPA Chairperson and former Congress president Sonia Gandhi on Friday broke silence over Triple Talaq Bill. The veteran leader says Congress's stand on the Triple Talaq bill is absolutely clear and won't say anything on the matter in the addition. Sonia Gandhi's statement comes on the last day of the Monsoon Session of Parliament when the Triple Talaq Bill is expected to be tabled in Rajya Sabha today. "Our party's position is absolutely clear on this, I will not say anything on this further," said Sonia. Triple Talaq, the much-debated bill was passed in Lok Sabha last year on December 29, a day after the government tabled the bill in the Lower House of Parliament. “Cabinet approves the amendment in Triple Talaq Bill. Although the offence continues to remain non-bailable magistrate can give bail,” a tweet posted by news agency ANI read on Thursday. The Triple Talaq Bill seeks to make triple talaq a criminal offence. If the Bill is cleared by the Upper House, it will have to go back to Lok Sabha for approval of the amendments.